Well done, the quality of yours does not seem to be bad (I have only looked your video...). Pity that you can not use them under UT99. Wow... this looks really cool. Now we need some UT2k4 DM maps and we get the best from two worlds. Maybe the weapon skins could be changed as well. Someone made better looking UT1 weapons for UT2k4. These are impressive, much better animations than the UT99 versions. Aldebaran wrote: Pity that you can not use them under UT99. Well, maybe not those specifically but those models are available for ut99. There's a thread on this forum with downloads for them somewhere or other. EvilGrins wrote: Well, maybe not those specifically but those models are available for ut99. Those models are borked. Some heavy anatomical inconsistency makes it unplayable for me. I would prefer those new ports. papercoffee wrote: Those models are borked. Yes, I tried them already. They can't be used on a server without issues. 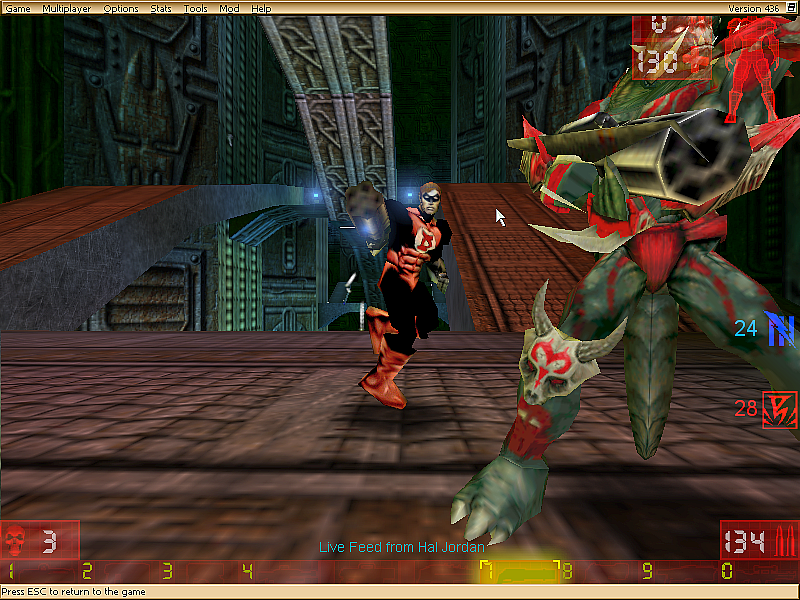 And the textures of an older UT2k4 skinpack I found are not so good in quality in my opinion. My main goal was to port to UT99, but there were already skin ports of those skins for UT99 and newphew is also making one in his ultimate mod (Or his mod is dead I assume). Hence, I shifted it to 227. Having that said, 227 doesn't have enough mods or skins compared to UT99 ones and I always wanted to make one for Unreal 1. OH Sh!T, I totally forgot about those Gen Mo Kais. Thanks for letting me know this. Now they won't be ignored.